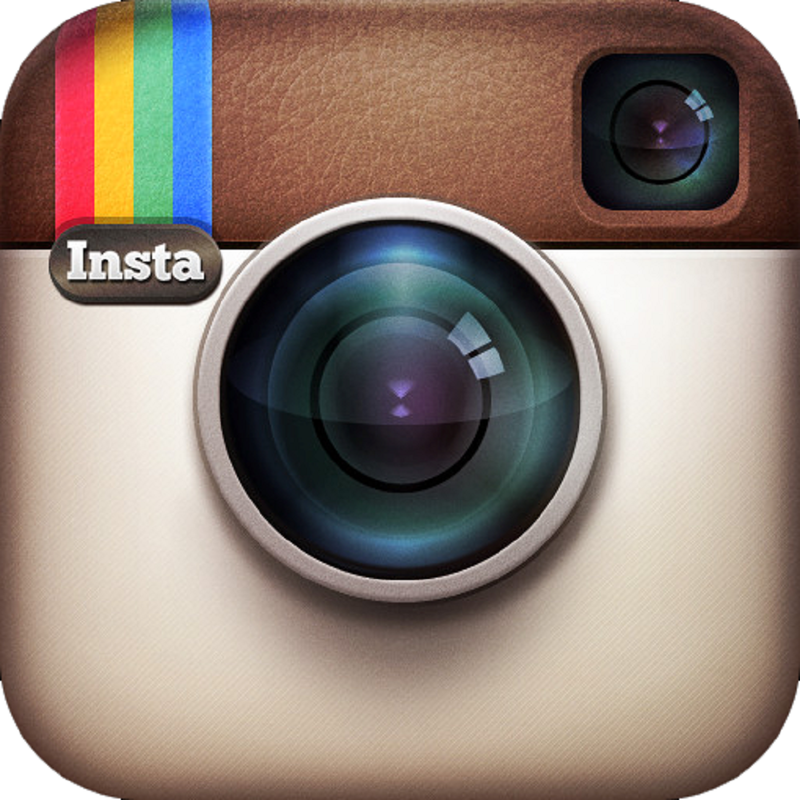 Nearly every day we add recommended links to the Hilltown Families bank of on-line resources. Some of you might find these links well suited for your family, others, maybe not so much. But it’s a fun and useful list worth perusing of online resource that are educational and entertaining! Where are these links? Hilltown Families Del.ici.ous Page! 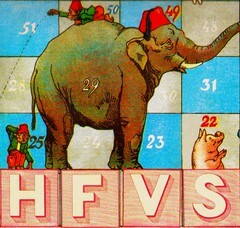 This icon can be found at the top of our site, in the left-hand column. Click any time to see what links we’ve added! Are Friends More Important To Your Daughter Than Family? With the threat of the U.S. government defaulting on its debts, a rising unemployment rate, and continuing foreclosures, there’s very little good news about the economy. 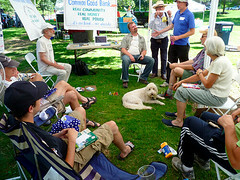 The non-profit organization, Common Good Finance, has a plan to turn that around. The Transition Towns Movement is a vibrant, grassroots movement that seeks to build community resilience in the face of such challenges as peak oil, climate change and the economic crisis. It represents one of the most promising ways of engaging people in strengthening their communities against the effects of these challenges, resulting in a life that is more abundant, fulfilling, equitable and socially connected. We believe that we can make the transition to a more sustainable world. We hope that you will join us! An informational meeting will take place at the Williamsburg Grange (Route 9) in Williamsburg, MA on Sunday, 03/21/10 from 3-5pm. Childcare is available. A community potluck will follow from 5-7pm. Please bring a labeled dish to share. This is a FREE event and all are welcomed! Donations to cover expense of childcare and renting the Grange are welcomed. Learn about Transition Towns and bring it to your community! For more information, contact Marie Westburg at amwestburg@verizon.net or call (413) 268-7899. Please RSVP if you need childcare. Angie Gregory of Northampton, MA, owner of Mother Herb Diaper Service writes: The Transition Movement is something to take notice of. I highly recommend folks take the time out to hear what it’s all about and how amazing it would be to have in Williamsburg! 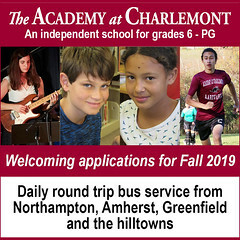 There’s transition towns movements happening also in Amherst and Northampton, and folks are getting together to work on ways to materialize this amazing effort. Please join in if you’re a part of the community, you’ll be glad you did! Help Bring Broadband to Western Mass! As you well know, many areas in western Massachusetts are unserved by basic broadband services. In 2008, the state legislature and Governor Patrick established the Massachusetts Broadband Institute (MBI) to help bring broadband access to all unserved citizens, starting in Western Mass. The MBI is now applying for federal infrastructure funding to build an advanced fiber-optic network in the region. This “middle mile” network will be open to all service providers who want to provide broadband services to unserved citizens. To be successful, the MBI needs your assistance! A major element required of all applicants is to demonstrate strong demand for broadband service. MBI needs letters describing the impact the lack of broadband has on your business and your life, and how improved broadband connectivity will benefit you personally. Community Owned Co-operative in the Hilltowns? Old Creamery Co-op in Cummington? It’s Up To You! Everyone is invited to a community-wide meeting at the Cummington Community House on Sunday, January 31, 2010, from 3pm-5:30pm to launch the active exploration of turning the Old Creamery into a community owned co-op. Alice Cozzolino and Amy Pulley, current owners of the Old Creamery, will share their vision for the store and reflect on the connection between the values that they have brought to the business and the principles of co-operative ownership. They will explain why they would like the future of the Old Creamery to be in the hands of the local community. What is a co-op? What are the principles guiding this concept? What are the structures this might take? Jen Caruso, the Old Creamery’s consultant from the Co-op Development Institute, will present answers to these questions and give examples of successful co-ops in our region. There will be a time for questions and input from out attendees. All are invited to continue the conversation during a soup and salad supper after the meeting, compliments of the Old Creamery. Please bring your own place settings. Child care will be provided during the presentations. 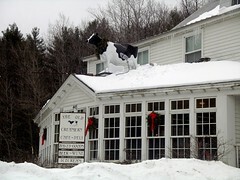 – Visit the Old Creamery on-line at www.oldcreamerycoop.org. [Washington, D.C.] 01/01/10 – It seemed like a good idea at the time — good for the environment and all — but in the bleak light of the new year, some people shopping in the District weren’t happy about the debut of the 5-cent bag fee. “It’s stupid,” said Daniel Dyson, 22, a clerk for the U.S. Marshals Service. He had already been charged twice for bags — once at 7-Eleven, once at the liquor store — before noon. “I don’t want to pay for bags. It’s too much,” he said. Berkshire Taconic Community Foundation’s Central Berkshire Fund is offering a challenge grant of $100,000+ to support the Neighbor-to-Neighbor program in central Berkshire County. The fund will match $7 for every $1 raised by the 14,550 residents of Becket, Cummington, Dalton, Hinsdale, Peru, Washington and Windsor. 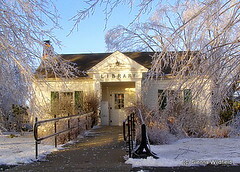 Each town must raise $1 per resident up to its population size with a minimum of 10 gifts per town by December 21, 2009. 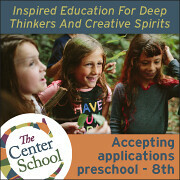 Find out more information at www.berkshiretaconic.org. The Hilltown Community Development Corporation (HIlltown CDC) is offering a FREE workshop titled, “Money Management for YOU”. The two-session workshop takes place on Monday, November 2 and November 9 from 6:00 – 9:00 pm at the Hilltown CDC offices at 387 Main Road in Chesterfield. Pre-registration is required. Contact Paul Lischetti at paull@hilltowncdc.org or (413) 296-4536 ext. 34 to pre-register. Be among the first to register and earn a chance to win fantastic Hilltown door prizes! Whether you have $10 or $10,000 in the bank, this workshop will open your eyes to a new financial lifestyle. You will learn about budgeting, credit, investments and more! Sign up today and make the first step toward taking charge of your finances. Can’t make these dates? Call now to get on the early-bird list to sign up for the next workshop. Where are these links? You won’t find them on your blog reader nor via email if you subscribe to our newsfeed. But if you visit the blog on-line and scroll half way down, on the left you will find the column, “Links We Recommend,” with a list of our most recent recommended links. If you haven’t been visiting the site regularly to peruse these great resources, not to worry – below is the last 100 links we’ve posted in the past two months: (you will need to use the “back” button to return to this page). The Future of the Highlands is in Good Hands … Yours! 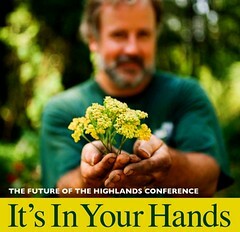 On September 12th in Ashfield, MA, friends and neighbors from across the region are invited to the Highland Communities Initiative’s (HCI) fifth biennial conference to celebrate the Highland’s rural nature and to share ideas from area residents that may hold the keys to its future. A program of The Trustees of Reservations, HCI supports and connects the people that are working to maintain the rural character and quality of life in the 38 small towns of the Highlands. The Highlands region lies west of the Connecticut River Valley, stretching from the Vermont to the Connecticut borders and is home to only 43,000 people and 3 stoplights. The region contains a remarkable abundance of intact natural areas, pristine river systems, historic towns, and working farms. Together with the region’s rich tradition of agriculture and forest stewardship, this landscape imparts a sense of place in seldom found in Massachusetts. The impact that one individual can have in rural region like the Highlands is personified by Laurie Sanders, keynote speaker at this year’s conference. Host of the WFCR radio program Field Notes, Laurie helped spearhead a community effort to build a new library, convert an historic property to town offices, and preserve two acres of common space in her hometown of Westhampton, MA. 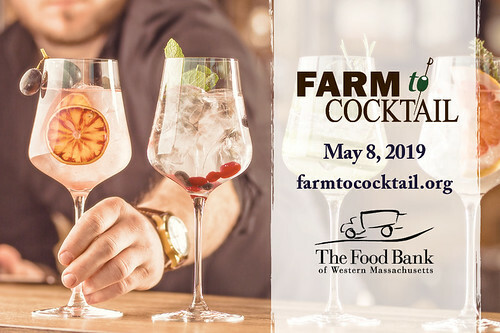 “There are over 30 Farmers’ Markets in western Massachusetts that are providing the freshest produce, meats and specialty farm products”, says Philip Korman, Executive Director of CISA (Community Involved in Sustaining Agriculture). 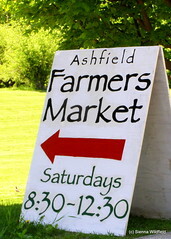 “Almost every day of the week, there is a farmers’ market that enriches our community and provides an opportunity to bring the best to our family table.” Farmers’ markets are a great way to get to know local farmers and ask questions, get fresh produce, mingle with neighbors and enjoy free entertainment. It is fun for all ages! To find a Farmers’ market near you look in CISA’s Locally Grown Farm Products Guide for a listing of markets in the Pioneer Valley, or click HERE to discover on-line. 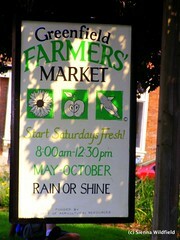 Help support our local farms by shopping at a farmers’ market this week and every week throughout the growing season. 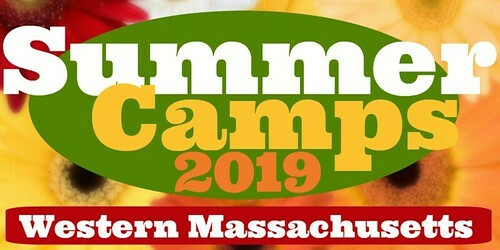 Founded in 1993, CISA is a nationally recognized community organization comprised of farmers, consumers, and professionals working together to sustain agriculture, strengthen the local economy, preserve the unique rural character of our communities, and enhance the well-being of western Massachusetts. Located in South Deerfield, CISA is the creator of numerous innovative programs, including Senior FarmShare, Farm2City, the Pioneer Valley Women in Agriculture Network, and the Be a Local Hero, Buy Locally Grown® public awareness campaign. 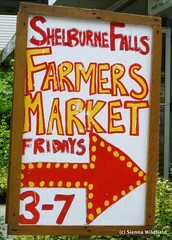 Learn more about CISA at www.buylocalfood.org or call (413) 665-7100. The annual Hilltown Business Directory, published both in print and online by the Hilltown Community Development Corporation (HCDC), a community non-profit in Chesterfield, MA, is preparing its expanded 2010 edition. The Hilltown Business Directory will list 350 local businesses in 20 towns, by category, by name, and by town. This 160 page reference book will be used all year by local residents. The Directory makes it easy for residents to support their neighbors by using locally available products and services, thereby strengthening the hilltown economy and preserving and creating local jobs. Becket, Hinsdale, Otis, Peru, Washington and Windsor in Berkshire County. The online version of the Hilltown Business Directory is available all year at www.hilltowncdc.org. Senator Benjamin B. Downing (D-Pittsfield) announces today the Massachusetts Senate and House of Representatives passed legislation enabling the Commonwealth to take full advantage of federal stimulus funds authorized by the American Recovery and Reinvestment Act (ARRA) for broadband deployment initiatives. Notes from Nan: Recycling your old stuff with us, who need it! I have spent the ENTIRE day planning to work on my taxes—I’m just a little behind on a few things—and here I am at 7:09 pm, not any closer to being a true American Citizen than I was at 8:00 this morning. Hey look! I just twittered! I’m just thinking; I spend a lot of money on washcloths and dishtowels so that we can wash off tables and dry them, and I occasionally bring in old ones from my house that are unsightly or just too rust-stained for me to want to give to guests or anything, and then I thought, “Why, I’ll bet there are lots of people out there without anything to do with their old washcloths and dishtowels!” I don’t mean your good guest towels, I mean that even kind of raggely ones will do! Those aren’t really things you can put in your tag sales, so you must have mountains of them in the back of your attic! You may ask yourselves, “Where exactly do the washcloths and dish towels they already have go to?” and the answer is, “I don’t know! Maybe you took those with you, too when you were pocketing our pens!” It is also possible that since it is the good old summertime and we are serving that many more Elmer Guests (we served breakfast to 139 people on Father’s Day!) that our need is up and so we’re just running through more as we put them in the laundry every day. So if you are looking at your collected piles of pens, washcloths, dishtowels OR even coffee mugs that you wish you didn’t have, you can just bring them to us at Elmer’s Store, 369 Main St., Ashfield, Massachusetts 01330. You can recycle your old stuff and help us keep our costs down all at the same time! And we appreciate it! New Graduates: You are Brilliant, and the Earth is Hiring! To download poster, click on image above. Form a dinner club and hold a weekly potluck, or trade off cooking and hosting. Dip your toe in the barter economy. Check out Craigslist’s “barter” category, and learn what WTT means (Willing To Trade). Even better, ask the guy at work who makes microbrews to trade a sixpack for a dozen of your chickens’ eggs. Get together with coworkers and start a list of things you can do at work. For example, buy fair trade coffee, change to energy-efficient lighting, or carpool. Start a Common Security Club in your faith community or neighborhood to help folks cope in the crisis and act together to create the new economy (www.commonsecurityclub.org). Better yet, bring the generations together and support each in offering love and care to the others. Pool funds with a group of friends for home repairs, greening projects, or emergencies. Do home work parties. Each month, go to a different household to do major home greening, a garden upgrade, or some deferred maintenance. Keep more people from becoming homeless by challenging evictions and occupying vacant homes. Create a space at a farmers market to exchange or sell used clothes, electronics, games, CDs, plants, seeds, compost, and books. 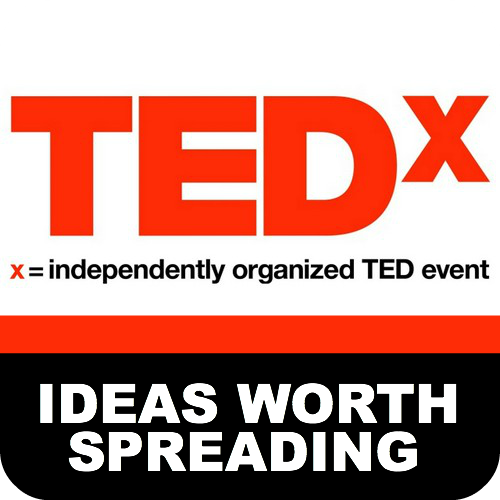 Encourage people to swap services, too, like haircuts, photography, or prepared dinners. Reach out to groups that are organizing people on the frontlines of the crisis, like Jobs with Justice (www.jwj.org) and Right to the City (www.righttothecity.org). Link up people looking for job skills with people who can offer apprenticeships. Start a local currency or time dollar program to help link needs and offerings, those with time and those starved for time. Use publicly owned lands for community gardens, farmers markets, business incubators, community land trusts (with affordable housing), community-rooted grocery stores. Hold on to the local businesses you already have. Help retiring entrepreneurs sell to employees or other locals. Create a car, kayak, and electric pick-up truck co-op to save money and carbon, and provide access to a variety of vehicles. Create or join a chapter of the Business Alliance for Local Living Economies (BALLE) or similar groups. Work together to find services or products you could substitute for imported ones, local assets you can build on, and ongoing institutions that could be serviced locally. 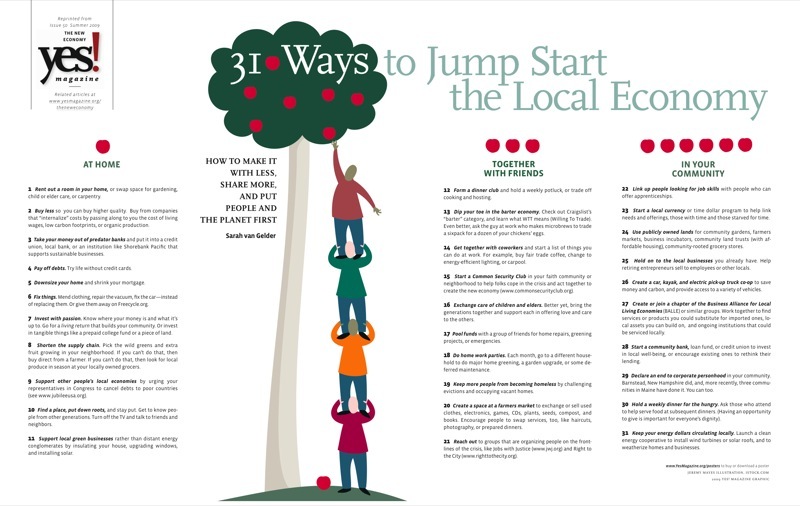 Start a community bank, loan fund, or credit union to invest in local well-being, or encourage existing ones to rethink their lending. Declare an end to corporate personhood in your community. Barnstead, New Hampshire did, and, more recently, three communities in Maine have done it. You can too. Hold a weekly dinner for the hungry. Ask those who attend to help serve food at subsequent dinners. (Having an opportunity to give is important for everyone’s dignity). Keep your energy dollars circulating locally. Launch a clean energy cooperative to install wind turbines or solar roofs, and to weatherize homes and businesses. 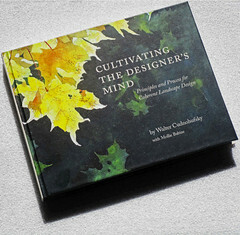 Sarah van Gelder wrote this article as part of The New Economy, the Summer 2009 issue of YES! Magazine. Sarah is the Executive Editor of YES! Magazine. To further his goal of being fully accessible to constituents from all cities and towns in his district, State Senator Benjamin B. 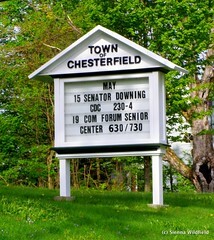 Downing (D-Pittsfield) is bringing his rolling series of open monthly meetings, dubbed Coffee & Conversation to Chesterfield, MA on Friday, May 15th. Downing hosts these public forums in rotating communities across the Berkshire, Hampshire and Franklin Senate District ten months out of the year. Downing will be hosting Coffee & Conversation at the Hilltown Community Development Center (CDC) at 387 Main Road in Chesterfield on May 15th from 2:30 – 4:00pm. During that time, Downing will provide free coffee and open, unscripted conversation to all people interested in speaking with their state senator face-to-face about issues ranging from housing and economic development to human services and health care and everything in between. All are welcome to drop by Downing’s Coffee & Conversation to register their thoughts, ideas and concerns, or to simply say hello and share a cup of Joe. Last year we lit candles and placed them through out the house as we shut the lights off for one hour. We were participating in a global statement to take action against global warming called Earth Hour (www.earthhour.org). 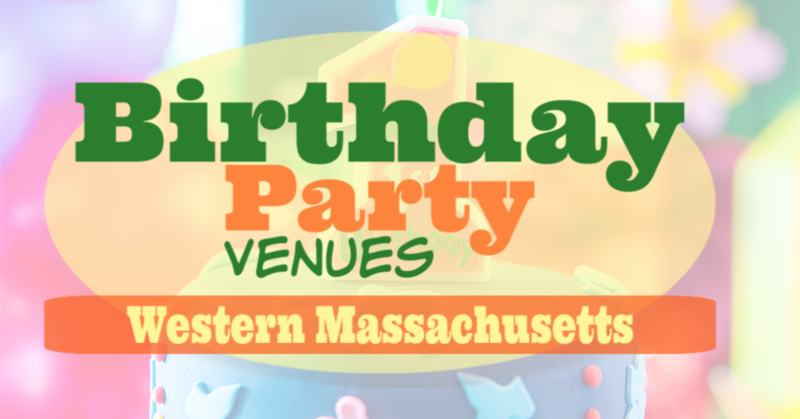 We invite other families and businesses in Western Massachusetts (and beyond!) to join us this year on Saturday, March 28, 8:30-9:30pm by switching off your lights too. Local organizers have suggested we go one step further, and replace our conventional light bulbs with compact fluorescent bulbs when we turn them back on to keep the benefits and energy savings going beyond the single hour. Just think of the fun you could have with your family: eat a candlelight dinner, read ghost stories with your kids, have a candlelit music jam, go for a night walk or get out a star chart and star gaze. What are your plans for Earth Hour? 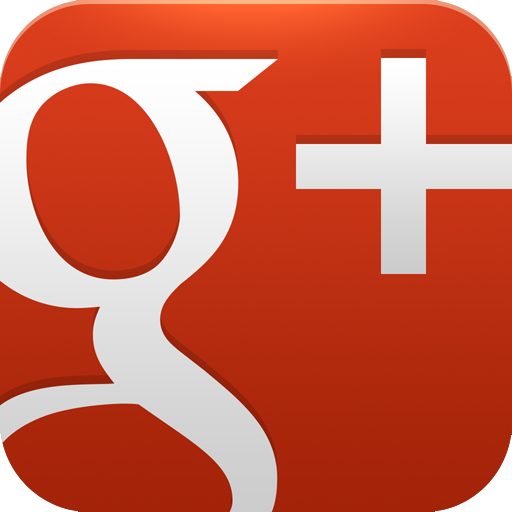 Share with us in our comment box below. [EarthHour.org] – This year, Earth Hour has been transformed into the world’s first global election, between Earth and global warming. Earth Hour began in Sydney, Australia in 2007, when 2.2 million homes and businesses switched off their lights for one hour. 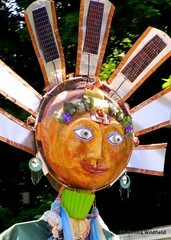 In 2008 the message had grown into a global sustainability movement, with 50 million people switching off their lights. Global landmarks such as the Golden Gate Bridge in San Francisco, Rome’s Colosseum, the Sydney Opera House and the Coca Cola billboard in Times Square all stood in darkness. This unsettling quote by a “Pioneering Youth Marketer” opens the critically-acclaimed new documentary film, Consuming Kids: The Commercialization of Childhood. Produced locally by the Northampton-based Media Education Foundation (MEF), Consuming Kids zeroes in on the increasingly brazen practices of the multibillion-dollar youth marketing industry in the wake of deregulation, exposing how marketers have used the latest advances in psychology, anthropology, and neuroscience to target American children and transform them into one of the most influential and profitable consumer demographics in the world. I was glued to my seat as I watched a review copy of this film, feeling the heat of anger rising up into my cheeks as I learned how marketers are scheming to influence my kid (our kids) to consume their products… for life! My family doesn’t watch commercial television in our home, so it shocked me to see the different television ads aimed at marketing to children, trying to sell them everything from junk food to the family car. But as the film reveals, advertising to our kids isn’t found just on the TV, it’s also found on the school bus, the classroom, cell phones, the internet, movies, and even churches. It’s insidious! 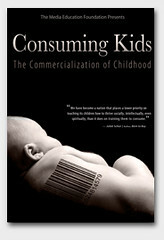 Offering a time-line tracing the evolution and impact of this unprecedented phenomenon, Consuming Kids illustrates how the childhood of American kids has become commercialized and explores how the effect of hyperconsumerism impacts the actual lived experiences of our children. I (Heart) My Local Public Libraries! How will the American Recovery and Reinvestment Act Assist Libraries? 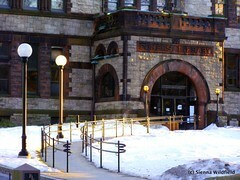 I (heart) my local public libraries! Don’t know what my family would do without them. How amazing is it to have access to more than 8 million items through the Western Massachusetts C/W MARS Libraries Catalog, a network of public, academic, school, regional, and special libraries in Central and Western Massachusetts. Through a quick search we always find titles or movies on subjects we are interested in. And I love having free museum passes to area museums available to check out from our library too! 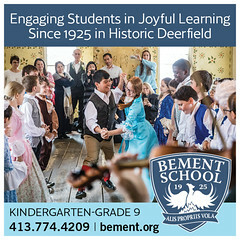 Teachers and home-schooling/after-schooling families can find great resources too, including curriculum kits available to check out, like the Discovery Kits at the Meekins Library in Williamsburg, MA. 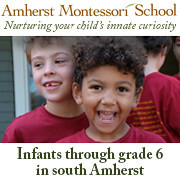 Families can also find social opportunities, like family game night on Friday night at the Chesterfield Library, Music Together Classes at the Milo M. Belding Memorial Library in Ashfield, MA, evening hours in the winter time, and free family concerts at the Jones Library in Amherst. A couple of years ago we saw The Nields for the first time during the Jones Library February Family Concert Series … for free! And if we find ourselves with overdue fines (which we often do! ), we wait for the Forbes Library’s annual “Food for Fines” program where we can donate food to local food pantry to waive our fines. It gives my daughter a way to give back to her community, along with other community service programs, including the Annual Giving Tree that happens every holiday season, also at the Forbes Library. It was the high speed internet we have access at our libraries that enabled the volunteer development of the Hilltown Families web site. With all these wonderful resources and enrichment programs, we should all be thrilled to hear that the $787-billion American Recovery and Reinvestment Act signed by President Obama included several economic-stimulus provisions that could directly benefit many programs that will benefit libraries, including $130 million for the Rural Community Facilities Program and $7.2 billion for Broadband. Click here to read more about how libraries will be assisted at the ALA web site. TAKE ACTION AGAINST HUNGER AND STIMULATE THE ECONOMY! Call your Representative and Senators TODAY. Urge them to vote “yes” to pass the current economic recovery package. Tell them the nation needs it! The plan includes: an important boost in Food Stamp benefits – now called the Supplemental Nutrition Assistance Program (SNAP) – and additional funding for food assistance to food banks like The Food Bank of Western Massachusetts. $100 million for formula grants to states for elderly nutrition services including Meals on Wheels. In short, the package includes these and other major investments that will assist families with lower incomes while stimulating the economy during this recession. Below is a brief update on Hilltown CDC’s affrodable housing programs in the Hilltowns. If you have friends or neighbors who might find this information useful, please forward it along. Housing Survey: Below is the link to our Hilltown Housing Needs Survey. Please give us your input. The survey covers Hilltown housing issues such as senior housing, housing rehab, rental housing and first time homebuyer needs. Your responses will help improve our housing programs. It should take about ten minutes to complete. If you copy and paste the link into your browser it will take you to the on-line Survey. Click here to take the survey. Affordable Housing Expo: On January 15, 2009 from 4:30 to 6:30 pm, the Massachusetts Housing Partnership will sponsor an Affordable Housing Expo at Hampshire College’s Red Barn in Amherst. Hilltown CDC and 8 other area affordable housing developers will make brief presentations about our projects from 5:00 – 6:30 pm. There will be displays and handouts. It’s a good opportunity to see what is happening in housing in the Pioneer Valley in one place. The event is free and open to the public. Light refreshments will be served. 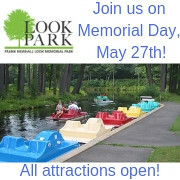 For more info or to RSVP, contact Connie Kruger at (413) 253-7379 or ckruger@mhp.net. Upcoming First Time Homebuyer Workshop: Hilltown CDC will be holding its next workshop series for first time homebuyers on January 24th, 31st and February 7th from 9:00 am – 12:00 pm at the Hilltown CDC Office, 387 Main Road, Chesterfield. The workshop series is free. Participants receive a certificate of completion which is required for specialized mortgage products and assistance. Hilltown CDC also has financing assistance available to income-eligible homebuyers (up to $35,000 per household). Contact Bea von Hagke to register at (413) 296-4536 ext. 15 or beavh@hilltowncdc.org. Affordable Rental Housing: Hilltown CDC owns and manages affordable rental apartments in Chesterfield, Williamsburg and Huntington. To inquire about vacancies and to make an application, contact Yamilet Boston at Home City Housing Corporation: (877) 889-3259. Housing Rehabilitation: Hilltown CDC is building a waiting list for income eligible homeowners in need of health and safety related housing repairs (roof, foundation, boiler, septic, well, plumbing, electric, lead paint, asbestos removal and more). Eligible homeowners in Chesterfield, Cummington, Goshen, Plainfield, Westhampton, Williamsburg and Worthington may qualify for zero-interest deferred payment loans which do not have to be repaid if you stay in your home for at least 15 years. 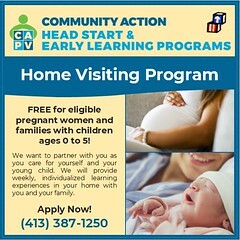 For details on these and other Hilltown CDC programs, visit our web site at www.hilltowncdc.org. Could Handmade Toys Become Illegal? In 2007, large toy manufacturers who outsource their production to China and other developing countries violated the public’s trust. They were selling toys with dangerously high lead content, toys with unsafe small parts, toys with improperly secured and easily swallowed small magnets, and toys made from chemicals that made kids sick. Almost every problem toy in 2007 was made in China. All of these changes will be fairly easy for large, multinational toy manufacturers to comply with. Large manufacturers who make thousands of units of each toy have very little incremental cost to pay for testing and updating their molds to include batch labels. For small American, Canadian, and European toymakers, however, the costs of mandatory testing, to the tune of up to $4,000 per toy, will likely drive them out of business. And the handful of larger toy makers who still employ workers in the United States face increased costs to comply with the CPSIA, even though American-made toys had nothing to do with the toy safety problems of 2007. Toy makers won’t be the only ones impacted by the CPSIA, the thousands of US businesses who offer clothing, jewelry and other gifts for children –in essence– the entire children’s industry will be as well. The CPSIA simply forgot to exclude the class of toys that have earned and kept the public’s trust. The result, unless the law is modified, is that handmade toys will no longer be legal in the US. Thriving small businesses are crucial to the financial health of our nation. Let’s amend the CPSIA so that all businesses large and small are able to comply and survive! Our support of local businesses is not about protectionism; we can -and should- help take care of the rest of the world. This is why we worked with Northampton Fair Trade to make Northampton, MA the 6TH Fair Trade Town in the United States (please see www.mafairtrade.com). However, if we are going to not just survive, but thrive during these economically and environmentally un-stable times it is going to be the people, businesses and organizations here in the Pioneer Valley that will mostly make it happen. We have to find the ways to take care of each other and by doing so we will all be better off. During the past four years we organized the Think Local First Contest to encourage people to shop with local, independent businesses here in Western Massachusetts, and while we aren’t organizing this contest this year we still wish and hope that all of you are thinking local first. Even without the great prizes we gave away in previous years, the benefits of supporting local businesses to our community and local economy are still huge!! 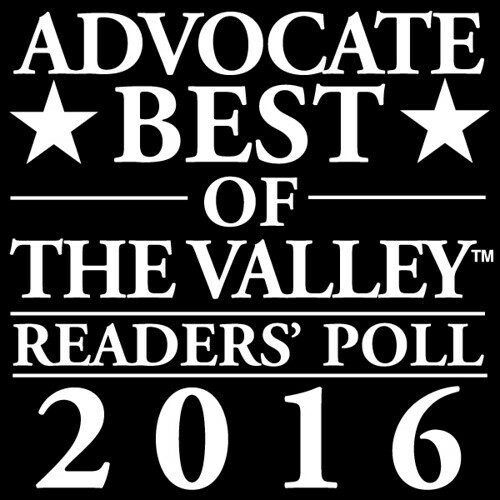 Coming this Spring we will be putting out a Pioneer Valley Wide Directory of Local, Independent Businesses. 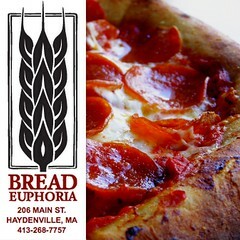 In addition, to helping people find what businesses here in Western Massachusetts are locally owned and not just in our locale, there will also be a lot of information about the benefits to our community from shopping locally, information about sustainability, renewable energy, local food and Fair Trade products as well. The idea of this Buy Local Week is to encourage you to shop with the many great local, independent businesses here in the Pioneer Valley. By shopping locally, the presents you buy for your friends and loved ones turn out to be gifts for your community as well.